When I began drafting my novel Russian Winter in 2003 or so, I knew I wanted my main protagonist, a Bolshoi ballerina living during the final years of Stalin’s reign, to defect at some point in the early 1950s. It was important to the timing of my plot that she leave before Stalin’s death, yet I struggled with the knowledge that in reality the era of dancer defections (think Nureyev, Makarova, Baryshnikov) did not begin until the early sixties. So wedded was I to the idea of factual truth that I even snooped around on the Internet in search of some real-life version of my ballerina, thinking that if only I could find an actual Soviet dancer who escaped during those years (when Stalin’s grip was especially fierce and Russian borders particularly impenetrable) I would have much more confidence in my own flight of fancy. Doing so, I read about Violetta Elvin, the first fully-Soviet-trained Russian dancer to perform in the West—but she left in 1945, legally, as the wife of an Englishman. So that didn’t necessarily help my case. Yet it was a reminder of the many possible and varied stories that exist in real life—and that, while of the utmost importance to me that I remain true to history, what I was writing was still fiction. So what if there had been no real-life ballerina defection in the early fifties. My ballerina would be the first! I thought long and hard about how to whisk her out of the USSR. I knew that Bolshoi dancers often toured Soviet satellite countries, and after looking at a map of eastern Europe I settled on East Germany, since the Wall would not yet have been built and my own family knew people who had escaped via Berlin in those years. I read up on the city during that time, mapped everything out in my head, and planned my heroine’s escape. I completed the manuscript in December of 2008. The following month, reading the New York Times, I spotted the following headline among the obituaries: Nora Kovach, Ballerina who Defected to the West. As my surname too is Hungarian, the name caught my eye, and I read that Kovach and her husband, dancing with the Budapest Opera Ballet in the late 1940s, were so talented that Galina Ulanova brought them to Leningrad to receive Russian training. In 1953, on tour in East Berlin, they noticed that the subway stopped close to their hotel and, taking a chance, hopped on and made their way to the English sector. In doing so, they were the first Soviet-trained ballet dancers to defect to the West. At that early stage the term “defector” was not yet in currency; newspapers referred to Kovach and her husband as “Iron Curtain refugees.” To me, though, they remain remarkable in another way altogether: as one more example of truth being stranger than fiction, and of life imitating art imitating—unknowingly—life. To read Marg's review of this book, click here. Daphne Kalotay grew up in New Jersey, where her parents had relocated from Ontario; her mother is Canadian, her father is Hungarian. She attended Vassar College, majoring in psychology, before moving to Boston to attend Boston University's graduate program in fiction writing. She stayed on at BU to study with Saul Bellow as part of the University Professors program, where she earned a PhD in Modern and Contemporary literature, writing her dissertation on one of her favorite writers, Mavis Gallant. Her interview with Mavis Gallant can be found in the Paris Review's Writers-at-work series. 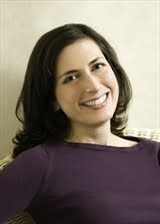 At Boston University, Daphne's stories won the school's Florence Engell Randall Fiction Prize and a Henfield Foundation Award. Her first book, the fiction collection Calamity and Other Stories, includes work first published in Agni, Good Housekeeping, The Literary Review, Missouri Review, Michigan Quarterly Review, and Prairie Schooner, and was short-listed for the Story Prize. Daphne has taught literature and creative writing at Boston University, Skidmore College, and Middlebury College. She lives in the Boston area. I've wanted to read this book since i first heard about it. Some day it will come off the wish list to the books read list. I liked what you had to say about this one. This is a hauntingly gorgeous book. I was so surprised!!! Loved the gorgeous imagery. I really enjoyed this book when I read it, and this guest post just sent shivers up and down my spine! I really liked the original cover but this is very evocative too! I originally had the other cover for the post, but when I got the author blurb the cover above was included in the email. I thought it would be nice to show it because it was the first I had seen it. I really want to read this book, but I haven't had time yet. I like your post very much! Thanks. I have heard of this book before and thought it sounded very good. It is interesting to know the background of a book and heightens my interest. This book is always waving at me from my TBR - and I think I'll have to rescue it and read it soon! Daphne, nice to run into you here. I had a similar experience, one which bordered on spooky. A few months after I had drafted a scene from my novel in which a character--a dancer--died, a real-life dancer of the same style passed away, and the song that was sung at her bedside in her last moments by her teacher and other dancers was the one that I'd put into my scene, sung by my character's teacher and fellow dancers. The goose-bumpish power of fiction. 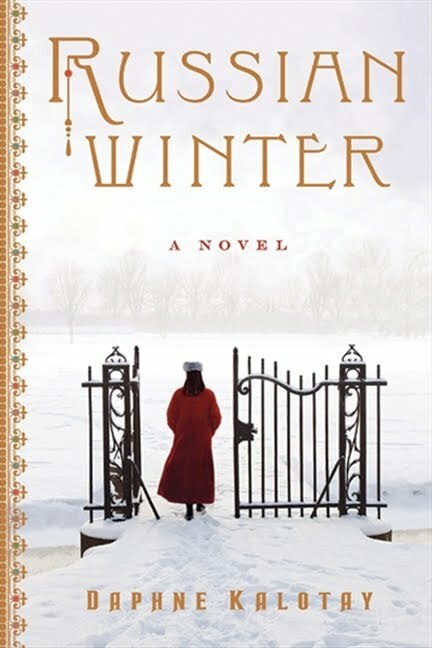 I look forward to reading Russian Winter.